Serena is one scary, scary woman. 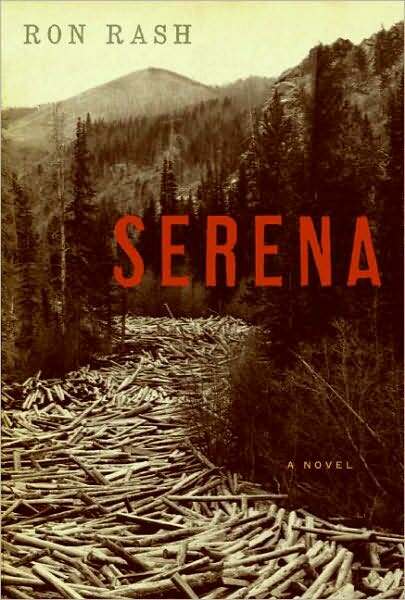 I loved Serena by Ron Rash except on the nights after binge reading when I woke up from nightmares about jaguars and eagles and death. Yeah, not so much fun that. This book is not for the faint of heart. It is a brutal story, but not one that feels gratuitous like Game of Thrones can at times (After watching the Red Wedding I felt completely punk’d, but that’s a story for another day). It is a tragedy in the Shakespearean sense and, beyond its literary allusions, it is a gripping story. Set in the Depression era North Carolina mountains, it is the story of a timber empire led by Serena and her new husband, Pemberton, and their machinations to become the most powerful (and frightening) couple in the forest. In so doing they compete with interests that would like to preserve the forests, as well as the surrounding impoverished community that is simultaneously beholden to the Pembertons for income and repulsed by their brutality. From the literary angle, there is a Greek chorus timber crew that comments on the action throughout while simultaneously trying to survive under horrific conditions (cold, falling limbs, death) where nature is an adversary and rarely a friend. While it is almost impossible (for me at least) to relate to Serena, her husband is a much more sympathetic character. When he attempts to help his illegitimate child, he unfortunately stirs the ire of Serena, which leads the plot to its closing. At the same time that I can’t relate to her as a character, I absolutely loved reading this book and count it as one of my recent favorites. I can’t image Jennifer Lawrence as Serena in the upcoming film, but I will definitely be one of the first to see it. Here’s hoping it’s as good as the book. 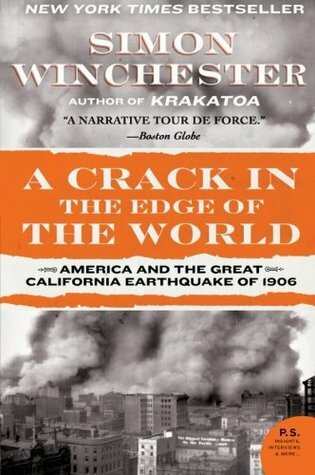 Considering all the earthquake talk and stories about animals fleeing Yellowstone (but not really), I figured now would be a good time for a review of Simon Winchester’s A Crack in the Edge of the World: American and the Great California Earthquake of 1906. I admit that I sometimes like to read disaster nonfiction (I don’t get out enough anymore) and from the title it seems like a disaster story, but it is much more than that. Winchester in good geologist fashion gives you the entire view of why the earthquake happened and not just a description of its aftermath. Quite frankly it makes the story more engaging if quite a bit longer. It isn’t just death, gore, and destruction, but you feel you’ve learned a few new things along the way. So, it is the story of the Great California Earthquake of 1906 and its fiery aftermath. To set up that story up though he begins with plate tectonics. (Side note: It KILLS me that plate tectonics was only discovered in the 1960s. I remember learning about it in school and thinking that it was the one science thing that just made sense. When I read Winchester’s Krakatoa I was floored by the fact that it was a recent discovery.) He then takes a long trip from one edge of the North American plate to the other. He starts in Iceland and moves across North America to California giving science and history lessons along the way. My favorite chapters were actually the social histories of California during the gold rush and in the period before the earthquake, but the science holds up too for the non-scientist. The closing chapters are of interest considering recent events/news. He visits Yellowstone and talks to some geologists there who are studying the geysers. One of the fun sentences in this chapter is “Yellowstone is thus, on purely statistical grounds, ready for an eruption almost any day.” At least he reaffirms that I don’t want to live anywhere in California, or the west coast, or west of the Mississippi. At least not until I’ve lived a long full life and have made peace with my maker. Incidentally, this book has one of the best description of dawn I’ve ever read. In his prologue he asks you to imagine watching the earth from the moon as dawn arrives on April 18, 1906, the morning of the earthquake. He says “To the east of the line, all would have been bright and daylight. To the west, an impenetrable dark.” When the earthquake happens it would have been indiscernible from space, a mere shrug of the planet, but on land it was nothing but hell. Simon Winchester is shaping up to be one of my favorite writers. He deftly creates readable descriptions of difficult scientific ideas while placing the science in the social and historical context. In this book, he is at the top of his game. Manifest Destiny: American Expansion and the Empire of Right by Anders Stephanson is a short book (it almost doesn’t fit the page length for Cannonball Read), but don’t be deceived. It is incredibly dense. It is one of those books that to understand it fully you almost need to read it twice. Nonetheless, if you really want to know more about the origins of manifest destiny and America exceptionalism, this is a perfect starting point. 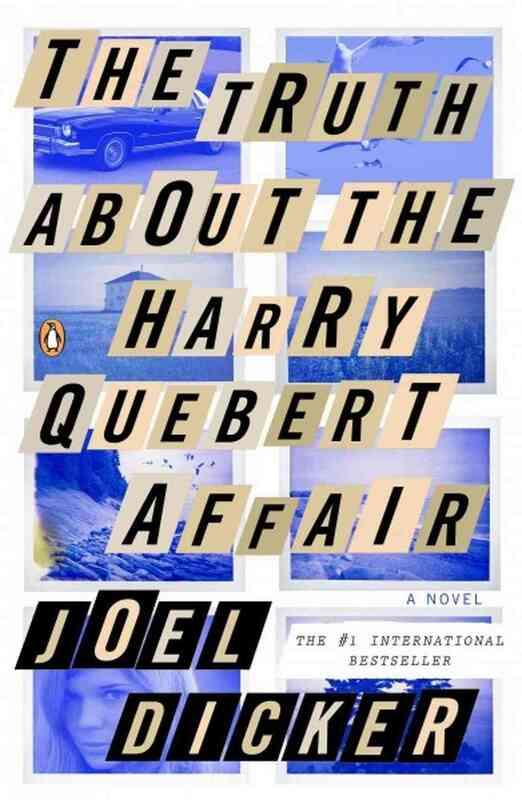 I am presenting this book to my class on Wednesday and need to work through some thoughts beforehand. So if this review seems disjointed it is because I’m still getting my head around his arguments. Basically he is examining the origins of the ideology of manifest destiny in American thought and political culture. While we can point directly to John O’Sullivan who coined the term in 1845 when he wrote that the role of the US is “to overspread the continent allotted by Providence for the free development of our yearly multiplying millions,” Stephanson argues that the broader idea of manifest destiny is rooted in the Puritans’ understanding of themselves as God’s chosen people. He then looks at how this religiously rooted ideology develops over time and negotiates expanding US borders. 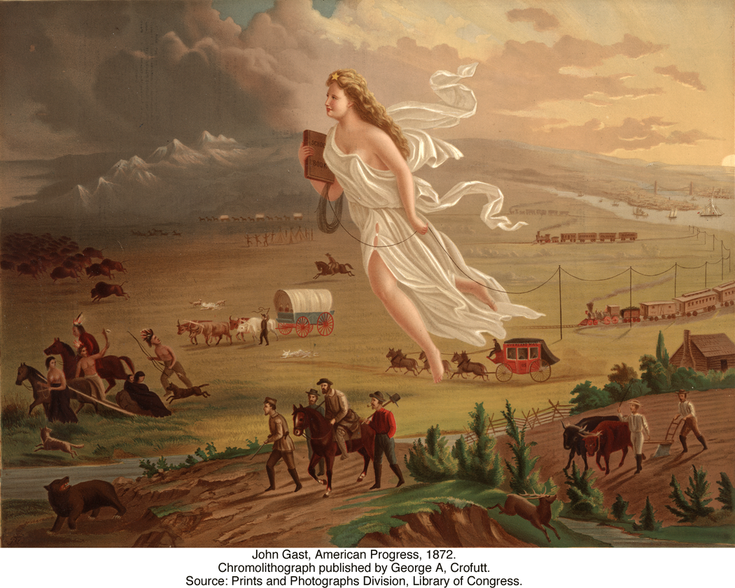 This religious ideology then becomes intertwined with agricultural and industrial capitalism and mutates into a more secular understanding of manifest destiny, but while the national ideology takes on a new character, “the sacred-prophetic impulse never waned” (110). The interesting difference in these two ideologies is that the older religious idea of manifest destiny focused on a predestined future of God’s chosen people, while in the newer ideology will be determined by individual agency. The most interesting chapter to me is his closing essay where he discusses President Wilson’s time up to the 1990s. He critiques President Wilson’s understanding of the United States’ role as the leader in the world and how that is still infused with a prophetic mission. This translates into a principle of universal right that believes it is always right and sees those who disagree as “inhuman or criminal” (119). Interestingly he ends in the mid-1990s (the book was published in 1995) and maintains that the difficulty for the US is that it has lost its defining enemy with the end of the Cold War, and therefore “simple concepts super-imposed on simple divisions and simple enemies no longer suffice as basic ideological props of American geopolitics (129).” I would love to see an update to the work in light of the past decade’s events. Have we invented a new enemy in “terrorism” based on our understanding of America’s destiny?